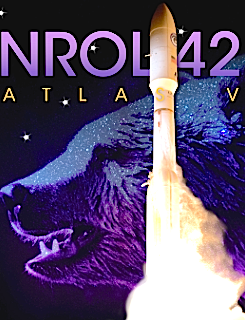 Although the scheduled launch of the ULA Atlas V carrying the NROL-42 mission on September 14 will be from Vandenberg Air Force Base in California, ULA is delaying the launch due to their employees in Florida who are support staff for this launch. The launch vehicle and spacecraft are healthy and secure at Space Launch Complex-3. The decision to delay the launch is based on the current forecasting for Hurricane Irma. Some critical members of the ULA launch team that support launch on both coasts are returning to Florida due to the threat from Hurricane Irma which is currently forecast to impact the Cape Canaveral area early Monday morning. ULA issued this statement, "The safety of our employees and their families are at the forefront of this decision. Hurricane preparations and hardware securing are underway at Cape Canaveral Air Force Station in Florida. A new launch date for the NROL-42 mission will be determined once the impacts of the storm are understood." This launch will be ULA’s sixth of 2017 and 121st overall. NROL-42 will be the 25th mission that ULA has launched for the National Reconnaissance Office (NRO) since the company was founded in 2006. This mission will mark the 73rd Atlas V launch since its inaugural launch on August 21, 2002.